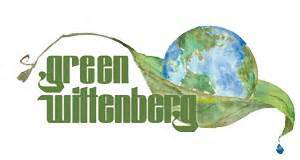 Entering students at Wittenberg University complete two semesters of First Year Seminar. FYS meets once a week during a common hour to coordinate events and support efficient training, planning, and implementation of activities. The FYS is team taught by a faculty member, a staff member (e.g. coaching, student development), and a peer mentor. During the first semester, FYS students also take an introductory general education course with the faculty member on their FYS team. The program is structured to support students during their transition to college through helping them: 1) develop strategies for academic and social success, 2) discover personal and academic strengths, interests, and values as they relate to vocation, and 3) make intellectual and social connections to the campus community and beyond. A meta-analysis of first year programs suggests that design around these goals (extended-orientation style) should support increased student retention (Permzadian and Credé, 2015). Blended approaches featuring extended-orientation plus student-centered academic content potentially support improved GPAs. The created module uses a blended approach in a primarily extended-orientation style course. Wicked problems, like climate change, require incorporating a diversity of perspectives and strategies to identify and implement solutions. Success in college also requires working with people who come from different cultural, ethnic, and disciplinary perspectives and developing professional habits across a diversity of courses. A strategically-designed FYS sustainability activity can cultivate problem solving across perspectives and provide students with time for reflection that is central to developing lifelong learning strategies and vocation. This activity features these elements and incorporates personal habit tracking worksheets from the Climate Literacy and Energy Awareness Network (CLEAN)-reviewed The Lifestyle Project. The FYS project retains the active-learning style of the original project but includes new goals and materials (except tracking sheets). This was developed for an undergraduate First Year Seminar, but could be used in high school or introductory college courses. 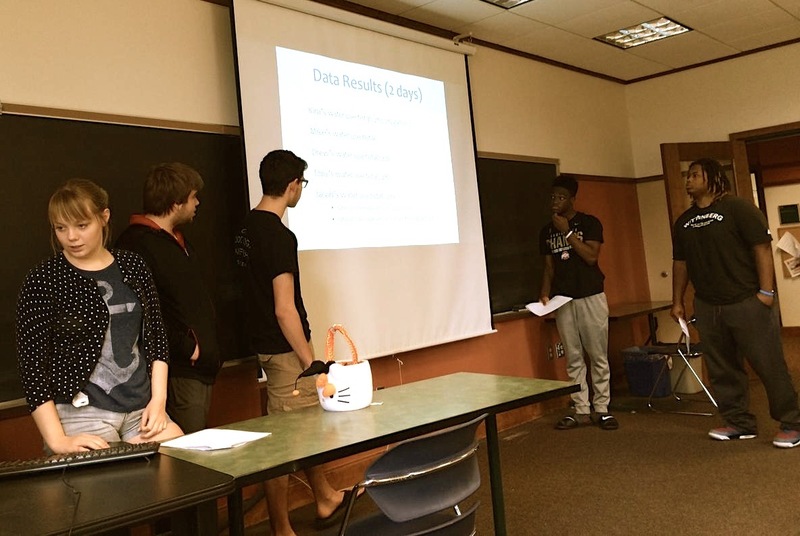 This has been tested in classes with ~20 students by faculty from many disciplines (STEM, humanities), but the activities could be completed in larger class settings if presentations are shared between groups instead of to the whole class. No previous mastery is required. We include a reference to ideas on community and global citizenship from our Mission Statement that they have seen in other context for vocational activities earlier in the semester. This is treated as a student's potential first exposure to the science of climate change and an introduction sustainability. Think-pair-share questions are central to early reinforcement of these ideas. This activity requires two 45-60 minute periods. Day one introduces central concepts and Day two is for student presentations and additional reflection. We spaced the implementation of both days 2 weeks apart, which worked well. Day two happened during Earth Week. Before class one, plan in advance how you will break students into groups to track lifestyle behaviors related to their ecological footprint. This will give teams enough time to plan for project completion. You could suggest tools such as Google Drive for sharing data if your students have difficulty meeting with each other outside of class. Consider offering a train-the-trainer session if you are implementing this across your university so that instructors have time to ask questions related to content or delivery. Also, if the style of this activity departs from other activities in your course or program, consider letting instructors and students know a few of the differences (e.g. an overview email before the activity). After class two, consider discussing ideas that might be best fits for campus based on the suggestions across groups. These can be submitted to sustainability organizations on campus or serve as final a call-to-action. Several students noted that the activity was the only activity in FYS that required group work outside of class. In future implementations, we might have students work on individual tracking, but come together to discuss solutions. Or the activity could be revised to better connect students to oral communication resources on campus (e.g. group meets at the Oral Communication Center to prepare presentation). All materials should be provided to instructors at least a week in advance, given that the topic or style of implementation may be new. More time might be needed during year-one implementations. The day one introductory presentation includes questions that give students time to reflect on climate change, sustainability, and our role (individual and collective) in problem solving. We suggest asking students to reflect individually and then share with near neighbors. One of the slides asks students to compare their ideas with ideas from the Environmental Protection Agency (EPA) Sustainability Primer. Printing out the primer is useful for smaller classes, but you could design a few PPT slides around the primer or allow students to use their phones or computers to view it. When handing out the assignment and assigning teams, consider having students sign-up by the theme they are tracking (i.e. water, energy). Our instructor teams provided students with the rubric at the same time as the assignment so that they could successfully plan. These materials are great to review in class so that students are on the same page. The project is assessed using the provided rubric. At the end of the semester, a FYS survey asks students likert scale questions about their previous exposure to sustainability topics, their exposure to global climate change, and whether the activity improved their awareness of their impact on the environment. We also solicited ideas on ways to improve sustainability practices on campus that will be shared with sustainability groups on campus. See more evidence. Permzadian, V. and Credé, M., 2015. Do first-year seminars improve college grades and retention? A quantitative review of their overall effectiveness and an examination of moderators of effectiveness. Review of Educational Research.